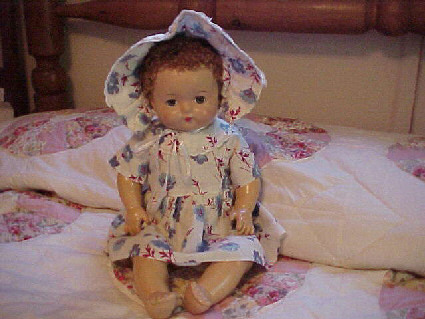 Comments: Bright Eyes Lacey (Nee: ) | Carrolltown PA USA | | Comments: This was my Sister's second last doll. I had it restored and she sit's in my living room on a rocking chair. She is very DEAR to me, as my Sister Bridget, was.